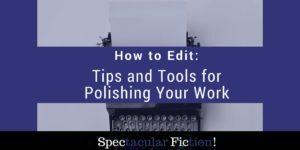 How to Edit: Tips and Tools for Polishing Your Work - Spectacular Fiction! Ah, editing – because no first draft can ever be perfect. Despite the challenges involved in this stage of the writing process, editing can be an enjoyable part of the writing process. After all, this is when you get the chance polish your rough draft into a form that approaches your original vision for your work. The following books, software, and strategies have been crucial in guiding me through editing and improving my stories from first draft to final. After you finish writing the rough draft of your story, it can be easy to get lost or overwhelmed when trying to edit your work. 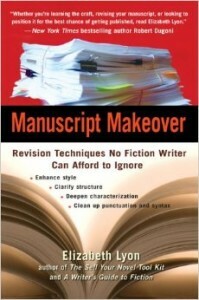 Elizabeth Lyon’s Manuscript Makeover is a helpful guide to navigating the editing process. Divided up into sections that tackle different aspects of your story, Lyon includes beneficial tips to help make your work the best it can be, with lots of advice on improving structure and flow, characterization, and also some advice on marketing, complete with samples and exercises. I read this guide shortly before I finished my rough draft of the Kindred series and found it invaluable throughout the editing process. I discovered this guide after reading a post on Nat Russo’s post on revising your first draft and requested it from my library immediately afterward. Similar to Manuscript Makeover, Revision and Self-Editing is divided into different sections depending on which aspect of your writing you’re ready to tackle. I found Bell’s book most helpful for creating a solid story structure out of the pieces of my first draft. After reading this guide, I realized that sometimes when I felt that something was off about my story, it was because of issues with how the plot was structured. This guide helped reinforce methods to improve the plot and the flow of my story. Plus this guide has a handy-dandy outline at the end that summarizes each of the sections, useful for reference while in the midst of editing. I have learned to accept that parts of the rough draft aren’t going to make it into the final version of the story that I end up publishing. Parts of my first draft are going to meander away from my original intent for the story. And that’s okay. For me, the point of my first draft is to lay down the bare bones of the story I want to tell. Perfectionism at this stage only serves to paralyze my writing progress. I have to remind myself that even though the draft isn’t great, I’ve probably at least got the skeleton of the story I wanted to tell buried somewhere within. Editing is the process of unearthing that story. As I go through a quick run-through of my rough draft, I create an outline of the story as it stands. This helps me to identify inconsistencies that I might not have noticed while writing the draft. I then make large changes to the outline, such as switching scenes around or adding new scenes entirely. After the outline is structured properly, I then edit the draft according to the changes I made in the outline. When I first started editing Resurrection, I found myself struggling with making lots of edits on every page, going through each sentence with a fine-toothed comb. Similar to perfectionism, this led to lots of paralysis and editing small items that wouldn’t make it into the final cut of the story (who cares about the grammar of badly written dialogue when you end up cutting that line from the story anyway?). I now do my self-editing in stages: first I do a quick read through, followed by major changes in overall plot structure, and lastly adding particular nuances to character, plot, or theme to enhance the tale. The great part about self-editing is that you learn mistakes to look out for in your writing style. 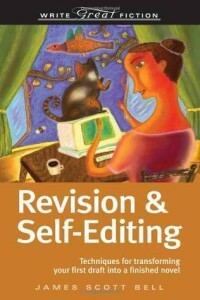 Even now, I have often found myself incorporating what I learned from these self-editing guides when writing the first draft of other works. This not only helps me preemptively save editing work later on, but improves my writing skills overall. Spellcheck and scanning your work can only catch so many mistakes. That’s where ProWritingAid comes in. This tool is available as an add-on for Microsoft Word and Google Docs, as well as a standalone tool on their webpage that you can use for free with limitations. ProWritingAid will not only find spelling and grammar errors, but will also point out wordy paragraphs that might trip up a reader, which senses you use in your description, and words and phrases that you use too often. You can also choose the areas that you want the software to focus on so that you’re not overwhelmed by too much information to properly edit your work. Since I purchased this software last fall I’ve used it for every fiction project I have worked on since. The Novel Factory is great for plenty of steps in the writing process, but I’ll focus on the editing-friendly features since I’ll likely write a longer post on this. Over the past year or so, I’ve gone from being a full-on pantser to a writer that doesn’t think outlining is such a dirty word after all. This largely happened when I encountered excessive roadbumps in the editing process that could have been smoothed out while I had been writing the story. After doing some outlining, The Novel Factory lets you create cards for each scene that you can reorder as you see fit. This feature is helpful for seeing the structure of your story from a greater perspective, making it easier to catch structural and plotting issues. You can also color code each scene according to which plot points it covers. Trying to tackle a manuscript’s problems all at once is likely to result in overwhelm. The card system allows me to easily shift from tweaking structural issues as a whole to focusing on one scene at a time. Each scene card contains space to summarize and then walkthrough your scene beforehand, provides separate workspaces for First, Second, and Final Drafts, and allows you to store notes specific to each scene. The Novel Factory also has a feature called The Roadmap, a step-by-step guide on creating your book from outlining to publication. 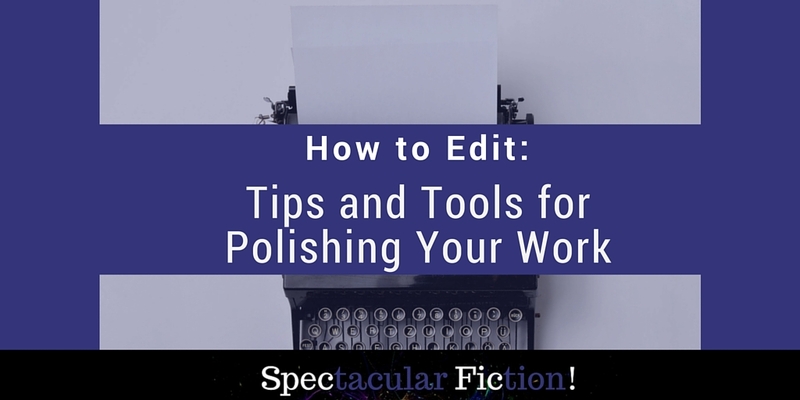 This guide includes advice on what to focus on in each round of editing. Helpful for maintaining forward momentum in creating your story! What strategies or resources have helped you learn how to edit your work?